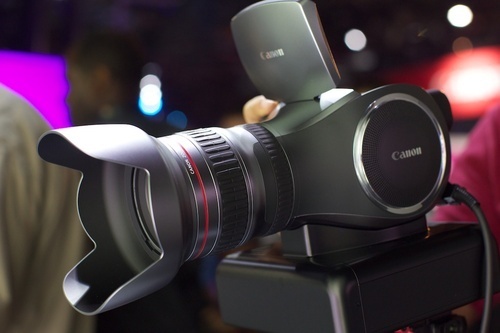 4K video at 60 frames a second using a single 2/3-inch CMOS sensor. Which is about all of the details Canon’s offering since it’s just a concept, though you can see that as is, it’s nothing a pro shooter could use, with its stripped, barren control scheme. still pretty awesome.